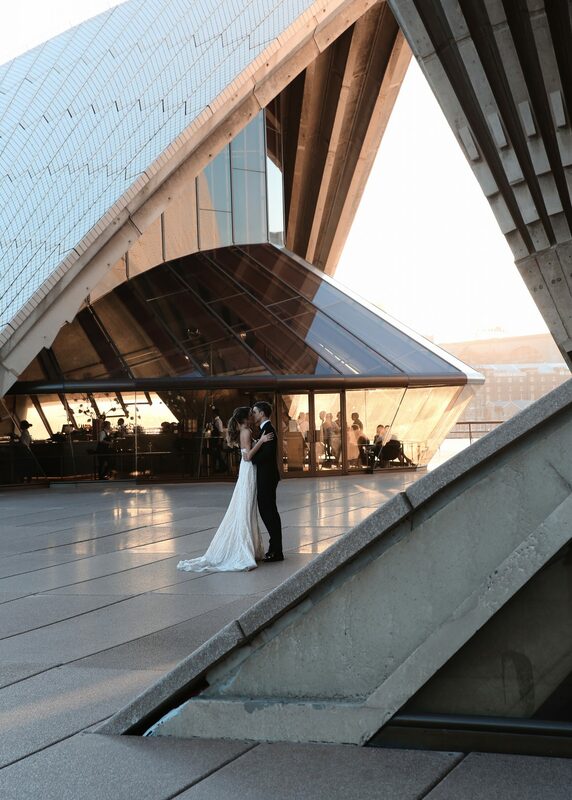 Simona and Ben celebrated their wedding in Sydney’s Bennelong Lawn in the Royal Botanical Gardens, situated right in front of the iconic duo, Harbour Bridge and Sydney Opera House. Simona wore our Taylor gown which she found at Helen Rodrigues Bridal during a trunk show. 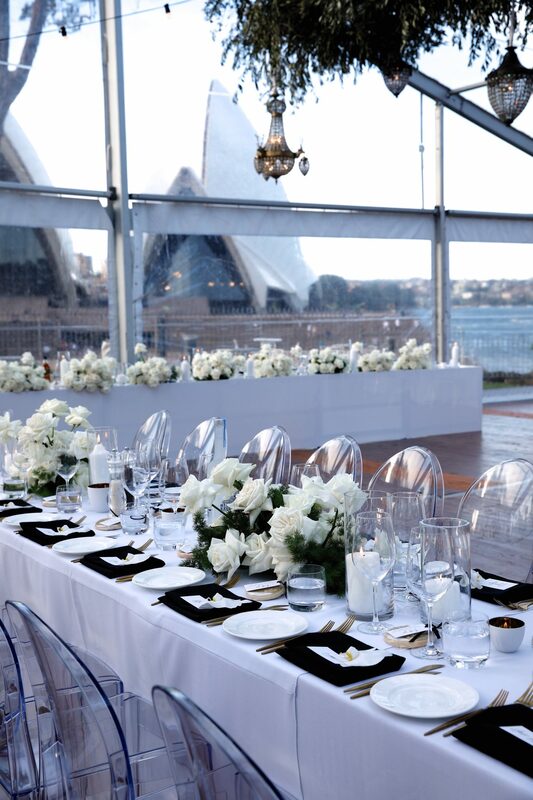 Simona and Ben celebrated their wedding in Sydney’s Bennelong Lawn in the Royal Botanical Gardens, situated right in front of the iconic duo, Harbour Bridge and Sydney Opera House. 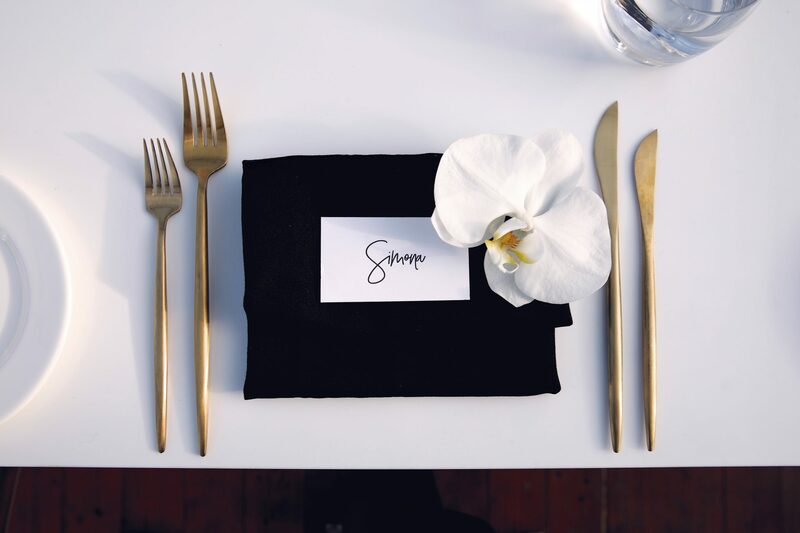 Their stunning celebration merged timeless elements with crisp modern details, fashioning a gorgeous soiree that exuded relaxed elegance. Simona, who naturally gravitated toward the LPG brand, found our Taylor gown during a trunk show at Helen Rodrigues Bridal. The deciding factor? The dress’s pockets and what Simona calls the gown’s “modern take on old world.” We can’t argue with that because the dress was the perfect choice for a wedding that was both timeless and modern.. and also because Simona was stunning in it. Can you tell us about the proposal? When Ben and I met six years ago, we realized we only lived a suburb away from each other, so we used to meet on the beach near our houses and go for walks or late night swims and stay up talking to the early hours of the morning on the sand bank getting to know each other. We have now been living in Hong Kong for a while but every time we go back home we go for our walk along the same beach. On 27 December 2017 while we were on our walk he had a gorgeous set up on the beach with a board asking me to marry him. It was such a thoughtful and special proposal that I will cherish forever. What are some things you loved about planning your wedding? 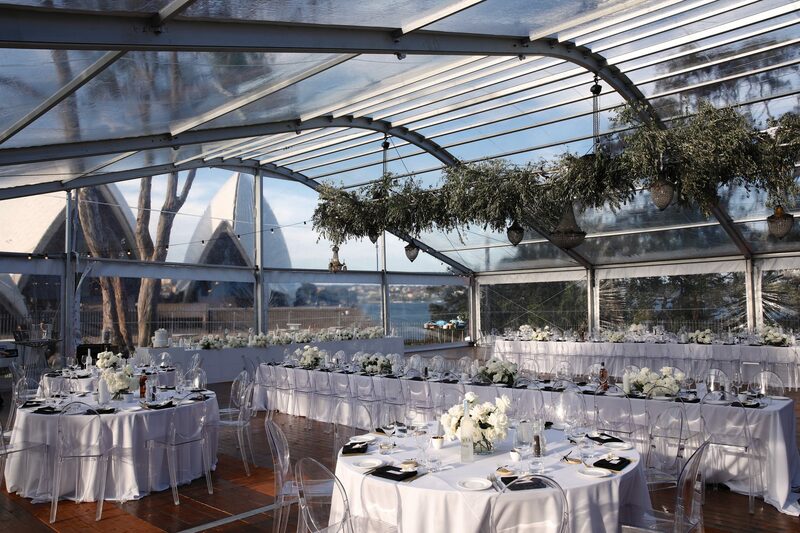 Our wedding venue was changed three weeks before the day due to our original venue being renovated so it was quite a stressful time but it ended up being the biggest blessing in disguise, being able to organize our wedding in the most iconic spot in Sydney which was a phenomenal experience for our overseas guests. 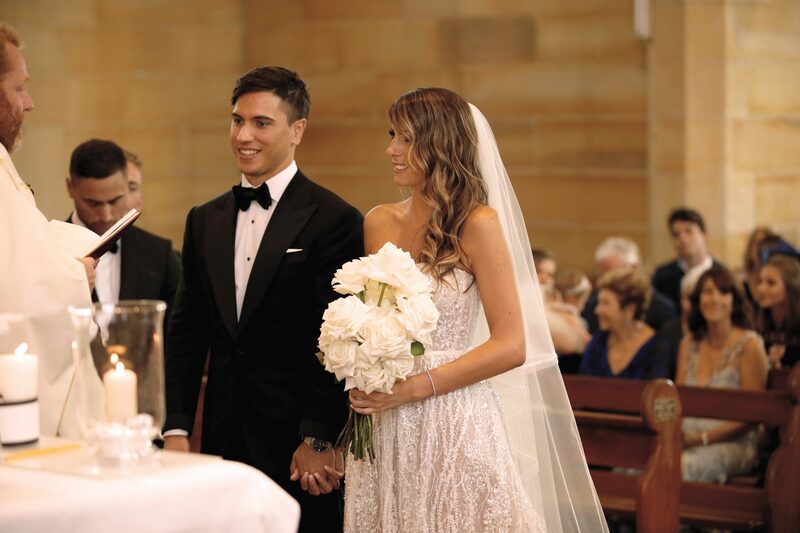 It also meant that when I flew to Sydney two weeks before the wedding there were a lot of bits and pieces that needed to be done which my closest friends and family all pitched in to help.. it was so touching to spend the time with them. How did you find your wedding dress? My best friends had found her dream dress at Helen Rodrigues Bridal two years prior so inevitably it was my first booking. I went in to see Helen and picked out a handful of dresses to try on (not realizing they were all LPG gowns while I was picking them). I actually had the Taylor gown saved in my Instagram inspo folder but it wasn’t in store at the time so I picked the Bella gown. Helen told me there was a LPG trunk show the following week and to come back to check out the new gowns before making my final decision and boy was I glad I did. The Taylor gown was in store and the moment I tried it on I knew it was mine. I think the fact that it had pockets was my deciding factor! I loved that it was a modern take on old world. It is such a classic beauty with a twist. The absolute perfect fit for me. 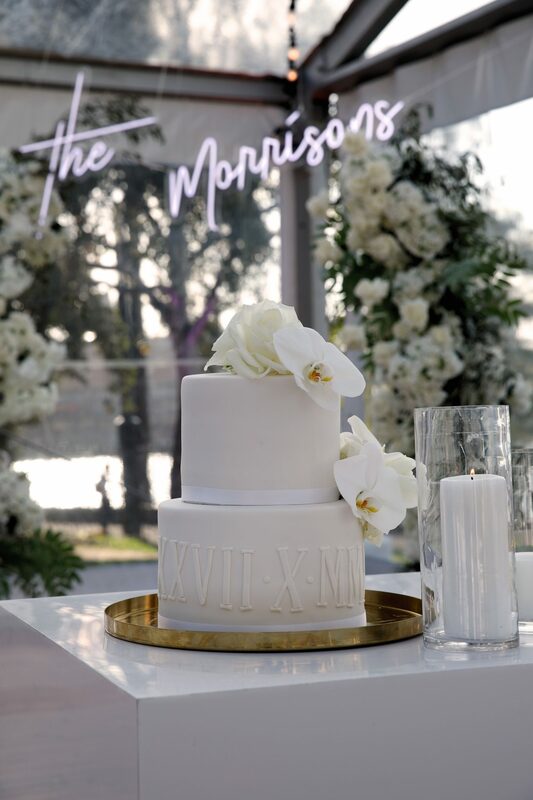 What are your favorite memories of the wedding? Walking down the aisle to my husband was a really overwhelming experience, and seeing his face light up has to be one of my top memories. And then closely followed by entering the reception and feeling all the love and excitement from our loved ones being in one room together celebrating us. A little advice for future brides – write down a list of everything you need to be taking with you/wearing on the day and give it to someone as their responsibility for the day. I was half way to the church and realized I wasn’t wearing my veil, or my incredible sleeves to the dress. My aunty went back for them but ended up only picking up the veil. Congratulations Ben and beautiful Simona!